As of April 11, an Update to GTA Online’s Capture Creator is currently available to download. Players can now make their own unique Capture Jobs by choosing pick-up locations, weaponry, and a variety of other settings. For those looking for a bit of help, Rockstar has released a guide to be used for assistance. You can download the guide here. 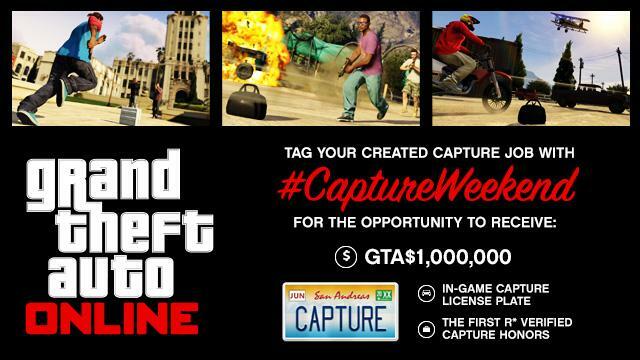 "As bonus for those in the community who jump in early to make the first Capture creation masterpieces this weekend - we're going to give four creators the opportunity to score a cool $GTA1,000,000 and the exclusive in-game CAPTURE license plate in the #CaptureWeekend Awards," Rockstar said yesterday. All you have to do is tag your creation with #CaptureWeekend, and you might win the prize. “The four official selections will also join the hallowed ranks of Rockstar Verified Jobs and be invited to join us on a future Rockstar Games live broadcast on Twitch to play through and talk about their creations,” explains the studio. 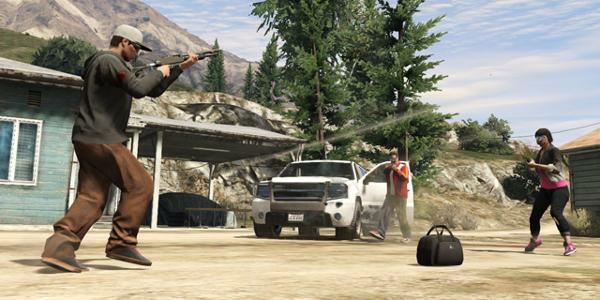 In preparation for today's update, Rockstar released patch 1.12 to fix many exploits and bugs in GTA Online. The patch also doubled the RP and cash rewards for Capture jobs. These double-gains were supposed to end yesterday, but have been extended through Sunday. Yay! Next on Rockstar's to-do list, is the High-Life update which will add high-end apartments and equipment to the game. Cooperative heists are also planned to be implemented into the game via an update later this spring, but no dates have yet been released for these upcoming additions. Is anyone else looking forward to these additions? How have you liked or disliked Rockstar's additions thus far?